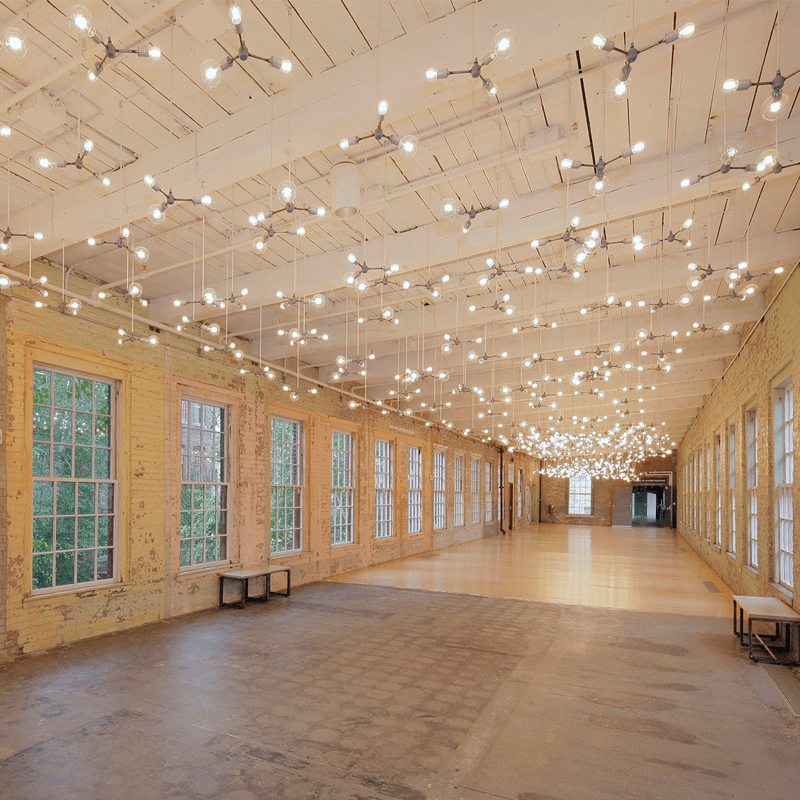 The latest expansion results in MASS MoCA being the largest contemporary art museum in the United States. 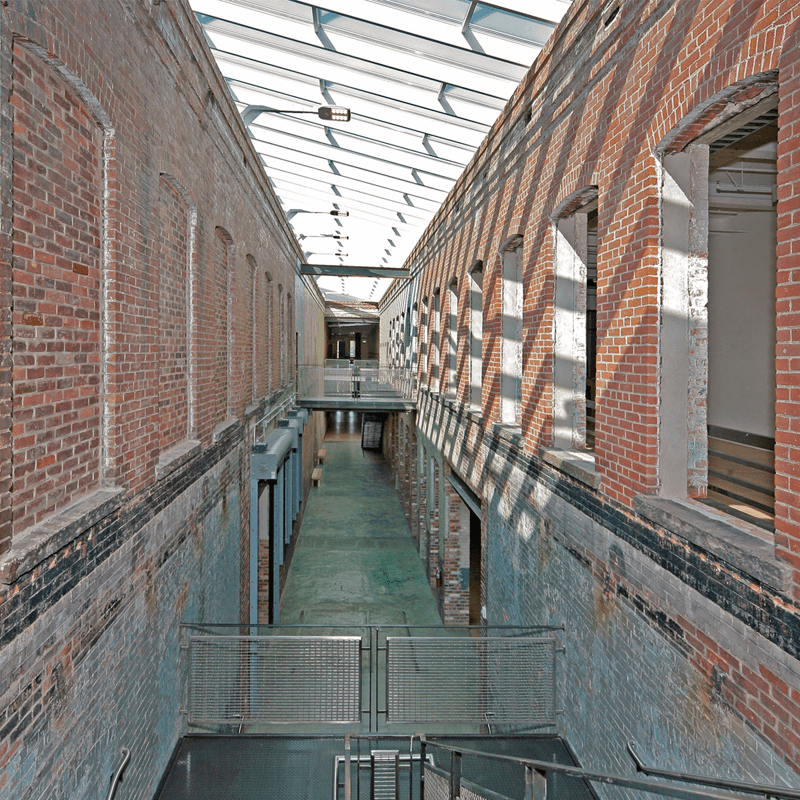 Gilbane provided construction management at-risk services for the third phase of a comprehensive master plan for the mixed use redevelopment of a National List of Historic Places factory mill complex. The 13 acres of grounds in North Adams, Massachusetts, encompasses a vast complex of 19th century factory buildings and occupy nearly one-third of the city’s downtown business district. 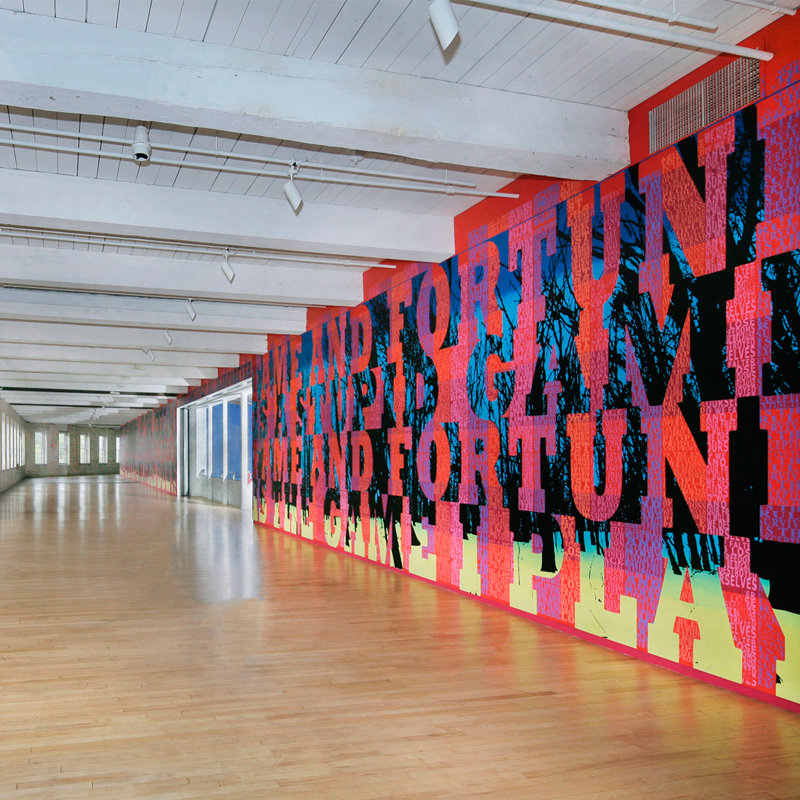 MASS MoCA is ranked among the most visited institutions in the U.S. dedicated to new art and with the latest expansion it is the largest contemporary art museum in the U.S. The scope of Phase III included the build out of 135,000 SF of interior space, ultimately doubling the space currently available, for museum galleries, performing arts facilities, public circulation and workshop and meeting facilities. 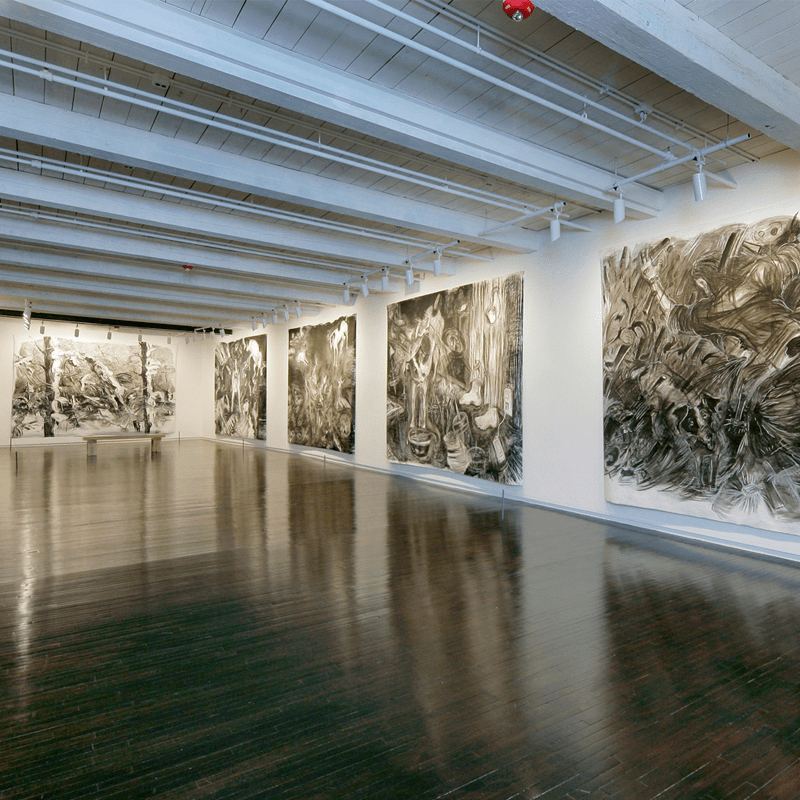 Working adjacent to occupied galleries and collection storage areas, noise and dust control were of the utmost importance throughout the project. The team successfully avoided potential impacts to the operational facility through the isolation of construction areas and use of ample ventilation. The project scope also required lighting and climate control flexibility and coverage throughout the space. New HVAC and lighting systems were specially designed for the exhibit spaces allowing for individual area controls and ability to increase or decrease lighting and temperatures, as needed for current and future exhibits. Gilbane developed an on-site plan to ensure the safety of all museum visitors, staff, and the facility’s collections throughout construction. Work areas were isolated from the operational areas of the building and shutdowns were carefully coordinated with the owner. As available space for on-site deliveries was limited to a shared courtyard, the team communicated regularly with the owner through weekly meetings to coordinate and update team members on daily delivery schedules. Through the team’s collaborative efforts, the project remained on track without impacting daily operational activities. Massachusetts Museum of Contemporary Art Cultural Phase III, Building 6 was nominated for Gilbane’s 2016 Iver Johnson Builder of the Year award. The Iver Johnson Builders of the Year award is Gilbane’s highest honor for excellence in project management and is awarded annually to a team with on-site responsibility for a Gilbane project completed during the previous calendar year. Gilbane fully supported Chapter 149A/DCAM Contract procurement process. The owner was not familiar with the processes and appreciated our expertise brought to the table. This support saved the Museum from hiring a third party to manage this work. Skylight substitution – Gilbane suggested a different manufacturer. David Deforest brought the owner and the architect to a previously completed school built by Gilbane to show them the suggested product. The new substitution was analyzed by the design team and approved. Approximate savings $75-100K. Connection Slabs between buildings – Gilbane suggested keeping the existing slabs, thus eliminating the demolition and replacement costs. Approximate savings $20K.